The Terra Mater Factual Studios and Wanda Films co-production ‘Guadalquivir – The great River’ left producer José María Morales with many happy memories. Wonderfully enough, he is kind enough to share some of them. ‘Guadalquivir’ is a very special film for me. It is the first time that I am the main producer of a Natural History Film, and the film is directed by Joaquin Gutierrez Acha, who is the most prestigious wildlife filmmaker in Spain. It is also my first co-production with Terra Mater. This is a professional challenge, after having been involved in more than 50 fiction films, but also a great pleasure for me. Since I was a kid, my best times has always been connected with Nature and animals. My first experience in Natural History films was in 2001, when I had the privilege to co-produce the Jacques Perrin film ‘Le Peuple Migrateur’. 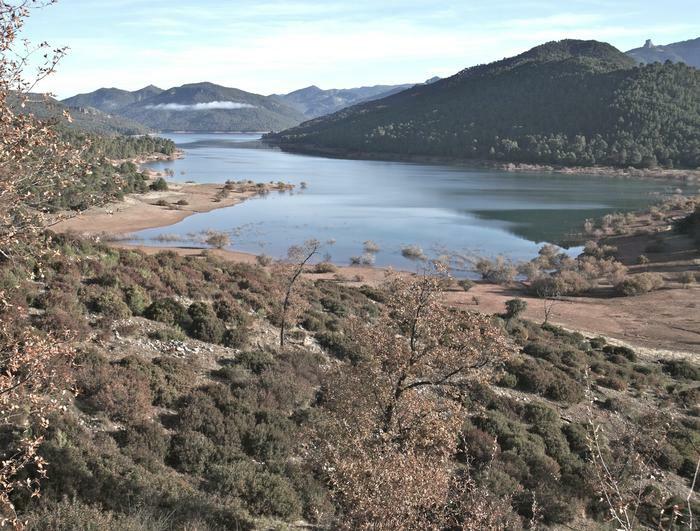 We basically filmed the common cranes (Grus grus) in the evergreen oaks of Extremadura during the winter, as well as the woodpigeons (Columba palumbus) when they cross the western Pyrenees to winter in the south-western quarter of the Iberian Peninsula. From that time the passion of wildlife films was going through my veins, and I have been involved in production as well as in the distribution of several NH films and series in Spain, with my company Wanda Films. I started working with Joaquin Gutierrez Acha when he was responsible for the Natural History Unit of the Terra Mater-film ‘Among Wolves’ which we finished 2 years ago. Since then, we both wanted to continue working together. We have been filming the amazing wildlife of the Guadalquivir River for more than 12 months, and I have been following the advances in the production with Joaquin, but mainly from the office and screening the already taken images. I felt that this was not enough. I understand that a wildlife filmmaker needs to work with privacy, which is very different from my usual productions of fiction films, where you have more than 100 people around the set. Anyhow I really wanted to assist, at least one day, “on the set”. Joaquin knows how much I like birds, and he offered me to stay inside the hide where we were filming the rare and endemic Spanish Imperial Eagle (Aquila adalberti), in the mountains of the north of Cordoba. Been so close to the imperial eagles has been almost a mystical experience for me. I was 50 meters from a nest with 2 chicks of imperial eagles! I couldn’t stop looking with my Swarowski telescope how these 2 “baby imperials” were waiting for any of their two parents coming and going from the nest with their daily food of rabbits. 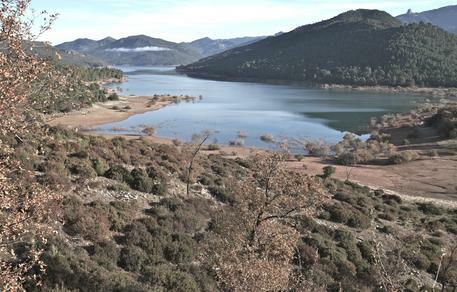 More than 5 hours quickly passed, after which Joaquin came to the hide, now with his Red One, to continue with our film. 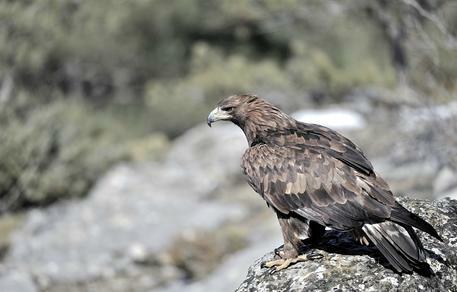 I will never forget that magical day with the eagles, and I know that wildlife film producing is deep inside me. Swamp of Tranco. Guadalquivir. Cazorla. 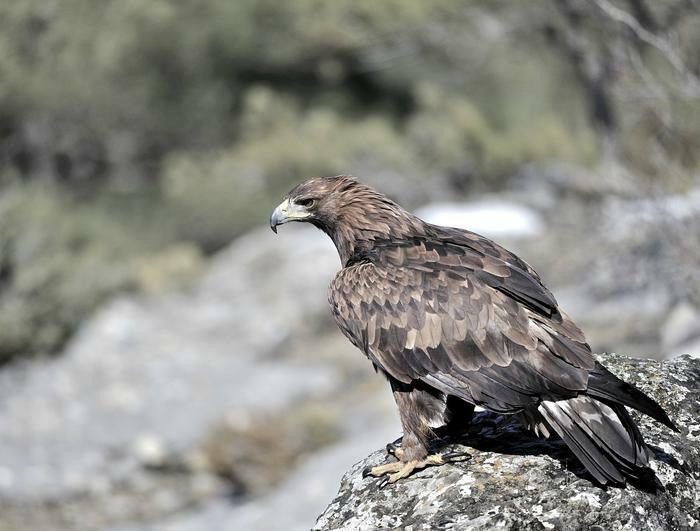 Besides the Spanish Imperial Eagle, the magnificent Golden Eagle also makes an appearance in the documentary. Read more about the production ‘Guadalquivir – The great River’ and watch a trailer as well as the whole documentary in English by following this link.